Deep into the soul lines we travel, where myth and magic reign, holding true our sovereignty again. A luxury retreat where everything has been taken care of so you need only relax and allow yourself to unravel, completely and wholeheartedly into the experience. Imbibe all of the healing, wisdom, experience & love that has been bundled together in your stunningly curated retreat package. Alassari plantation is the new frontier in luxury retreat accommodation. Set high up in the mystical Mount Batukaru we will delve deep, relax, let go and reconnect. Luxury meets authenticity in one of the most preserved areas of natural rainforest in Bali. Enjoy forest walks amidst waterfalls and time to reflect in quiet peace and sacred space. Desa Seni, an art village showcasing culture, religion and traditions from the archipelago of Indonesia with unique accommodations in original antique wooden homes imported from the many islands of Indonesia, beautifully restored and refurbished. 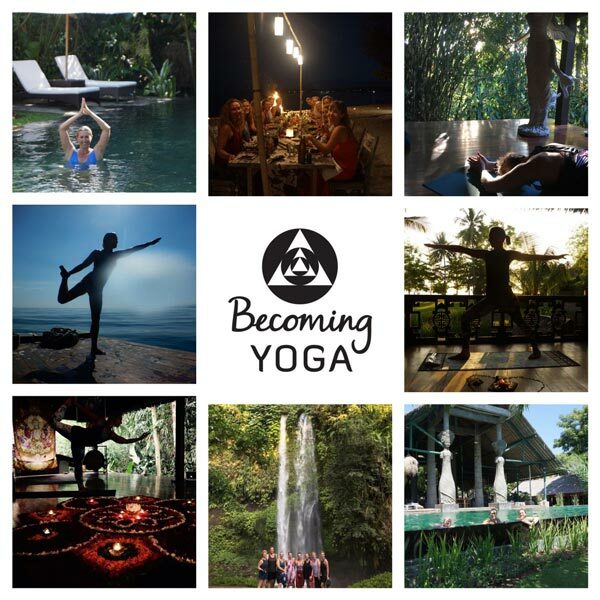 Desa Seni is a dedicated yoga retreat space situated in the heart of Canggu a bohemian coastal village and haven for those who come to practice yoga. With many cafes and boutique shops on our doorstop we will have the opportunity to immerse with the colourful energies of the area for 3 nights. Expect unique cultural experiences, sophisticated dining out and of course our dedicated yoga shala for our group classes. “Melissa’s retreats are for anyone that wants to reconnect and believe in the adventure of life again. Every detail is well planned and executed to the highest level”. This is a very real and sacred opportunity to experience the magic of life without all the superficial layers and intensities of life that sometimes keep us at arms length from experiencing our most real and authentic selves. Genuine enquiries & bookings only. All yoga & meditation classes. (including 2 classes with experienced teachers in Canguu). Payment Plans are available contact Melissa if you wish to discuss this option. I welcome you to join this stunning & restorative soul adventure. Does your heart say yes?